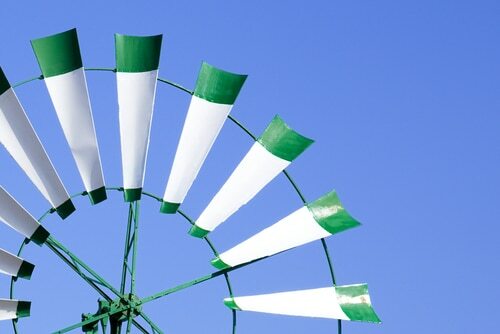 According to the latest “Energy Infrastructure Update” report from the Federal Energy Regulatory Commission’s Office of Energy Projects, solar, biomass, and wind “units” provided 694 MW of new electrical generating capacity last month or 99.3% of all new generation placed in-service (the balance of 5 MW was provided by oil.) Twelve new solar units accounted for 504 MW or 72.1% of all new electrical generating capacity in October 2013 followed by four biomass units (124 MW – 17.7%) and two wind units (66 MW – 9.4%). For the first ten months of 2013, renewable energy sources (i.e., biomass, geothermal, hydropower, solar, wind) have accounted for nearly a third (32.8%) of all new electrical generating capacity. That is more than that provided thus far this year by coal (1,543 MW – 12.5%), oil (36 MW – 0.3%), and nuclear power (0 MW – 0.0%) combined. Solar alone comprises 20.5% of new generating capacity (2,528 MW) thus far this year – more than doubling its 2012 total (1,257 MW). However, natural gas has dominated 2013 thus far with 6,625 MW of new capacity (53.7%). For the first ten months of 2013, compared to the same period in 2012, new capacity from all sources has declined by 27.5% (from 17,008 MW to 12,327 MW). Renewable sources now account for nearly 16% of total installed U.S. operating generating capacity: water – 8.30%, wind – 5.21%, biomass – 1.32%, solar – 0.59%, and geothermal steam – 0.33%. * This is more than nuclear (9.22%) and oil (4.06%) combined. A second new federal study, the latest issue of “Electric Power Monthly” by the U.S. Energy Information Administration (with data through September 30, 2013), notes that renewable energy sources accounted for 12.95% net electrical generation for the first three-quarters of 2013 (hydropower – 6.90%, wind – 4.03%, wood + biomass – 1.40%, geothermal – 0.41%, solar – 0.21%). This represents an increase of 5.22% compared to the same period in 2012 with non-hydro renewables combined growing by 15.9% (solar – 91.9%, wind – 21.7%, geothermal – 1.2%, wood + biomass – 0.4%). By comparison electrical generation from all sources (i.e., including fossil fuels and nuclear power) dipped by 0.8%. The Federal Energy Regulatory Commission released its most recent 5-page “Energy Infrastructure Update,” with data through October 31, 2013, on November 20, 2013. See the tables titled “New Generation In-Service (New Build and Expansion)” and “Total Installed Operating Generating Capacity” at http://www.ferc.gov/legal/staff-reports/2013/oct-energy-infrastructure.pdf . The U.S. Energy Information Administration released its most recent “Electric Power Monthly” with data through September 30, 2013 on November 20, 2013; see: http://www.eia.gov/electricity/monthly. The relevant charts are Tables 1.1, 1.1.A, ES1.A, and ES1.B. * Note that generating capacity is not the same as actual generation. As stated, actual net electrical generation from renewable energy sources in the United States now totals nearly 13%.